Need help in repairing your AC? We’re here to help! We get it. All of our electrical appliances start to fail after years of usage. This could be due to lack of maintenance, corrosion, or because our products are just too old to operate. This can lead to problems in the future if one is not aware. That’s why we created this guide to help you determine the signs needed to repair your AC. Whether you obtain help from a professional or you do it on your own, this guide will help diagnose the problems of your AC so you can create a plan to fix it. If your cooling system has hot air, then this might be a sign of a broken compressor. Also, it could indicate a leak in the refrigeration system. Neither issue is impossible to fix and might cost less than expected, but you’ll have to address the problem before using your system. If you start to notice leaks or moisture in your system, then it might be an issue. Sometimes this can be a minor problem, like clogging the drain tube that takes the condensation away from your air conditioner. This doesn’t include an emergency, but you will need to fix it in order to avoid making an environment for mold growth. Sometimes the moisture will indicate a refrigerant leak, which is more complex and serious. Either way, you’ll have to address this issue so that you avoid further issues. Your AC has to run fairly quietly. When hearing a sound from the AC’s motor, you shouldn’t hear a grating, grinding, squealing, or other loud sounds. The faster you address this problem with the assistance of Air Experts, the better you’ll utilize your system. Part of your AC’s job is to take humidity from your air inside your house. 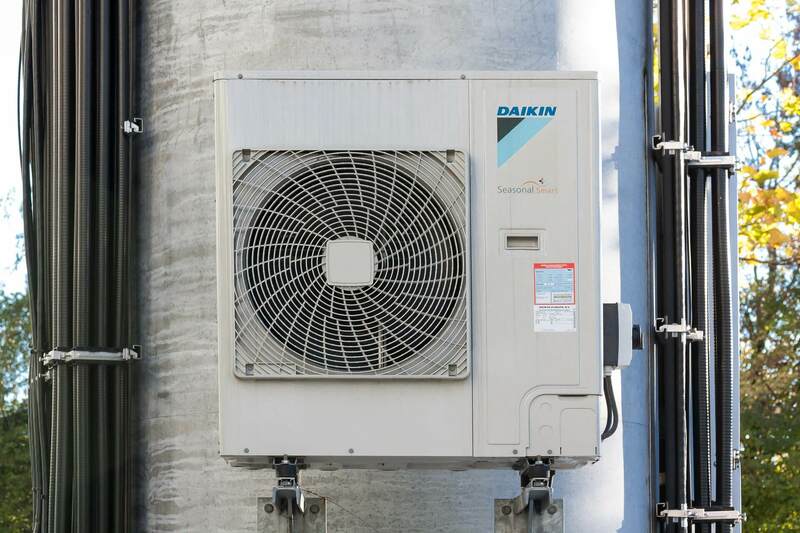 If you notice water pooling around your windows or have a sticky feeling in the house’s air in your home, this is a good indication that your AC isn’t working correctly. Contact a cooling service wheeling to find out if you have a problem. If your thermostat is incorrectly calibrated or not working, it might not turn your air conditioner on. If you place your thermostat on the lowest setting, and it still doesn’t start, then its time to call for a technician, who will either replace or recalibrate the thermostat. Older thermostats are more subjected to calibration issues, but sometimes newer thermostats can be difficult to program. When attempting to troubleshoot your AC, you should make your thermostat manual to ensure that you’ve fully programmed the thermostat. If you are noticing warm air, or there are some rooms that are warm an some that are cool, this could mean an improper air flow through your ducts. While a central AC unit is a sealed system with ductwork running through the ceilings and walls, it’s not uncommon to see tears leak through the ductwork. These air ducts carry returned air to your system for cooling and treatment. If you see any rips in ducts, cool air will start to escape from the walls, which is not beneficial to your wallet or comfort. Leaky air ducts tend to make the house warmer, which can lead to an increase in utility bills and cause your system to work harder. So make sure you put “duct inspection” on your checklist. To conclude, make sure that you have your air conditioner properly maintained. This will allow continuing to have cool air without any issues from your HVAC unit. When in doubt, speak to multiple cooling services wheeling help you get it installed correctly.